Once a laggard in data center efficiency, China is now making significant demands on suppliers, says German air conditioning giant Stulz, as it opens a new laboratory in China. 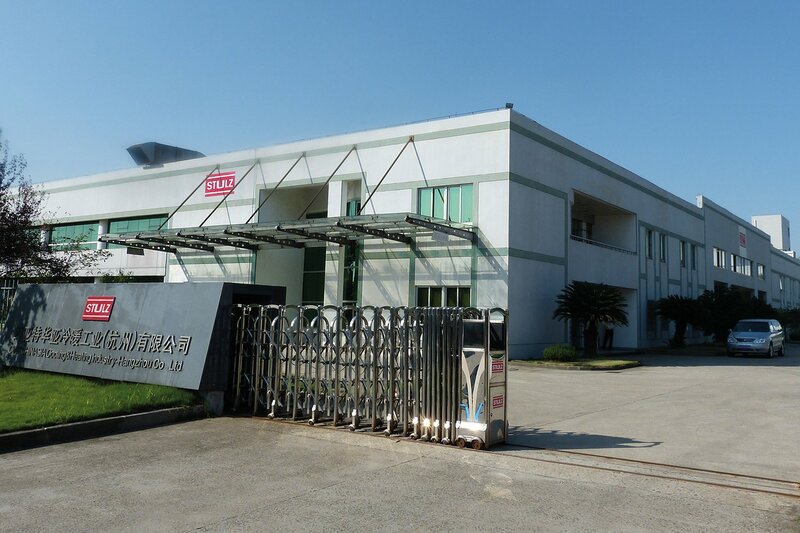 The company's second test facility in the country is located at the Stulz factory in Hangzhou. 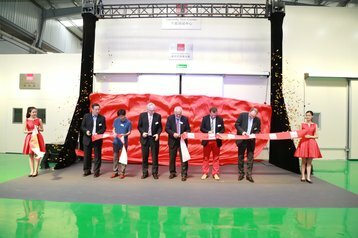 The need for an additional facility was mainly driven by the huge demand for data centers in China, and also by the requirement for tests which the customer can verify for themselves, as the result of a government initiative, Kurt Plötner, vice president of Stulz GmbH Hamburg told DCD. "China is such a gigantic market," Plötner said. "The amount of orders we are getting for mega data centers is unbelievable." The new lab was required because of this growth, and because a government efficiency drive, launched three years ago, is finally starting to bite. "We built the new test center for two reasons," he explained. 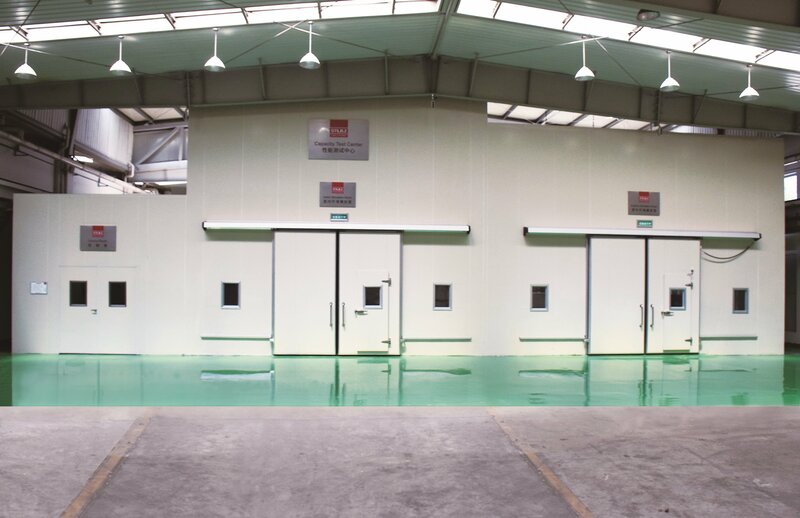 "Our Shanghai test center was built in 1995, to test products built in Germany, and has been enlarged twice. Now we have new products, we had the choice to enlarge the Shanghai laboratory again, or to build a completely new one." The second reason, Plötner said, is the fact that the need for testing in China is expanding rapidly: "We are producing different solutions there, and our large customers want to see the performance verified - because they have had bad experiences with other suppliers. For us it was always important that we were able to prove the high energy efficiency of equipment produced in China. We had to show it was built to the same quality as German-built products." Webscale providers such as Alibaba and Tencent are expanding rapidly in China, and are starting to look at overseas markets. While Plötner wouldn't name specific customers, we understand that Stulz is providing equipment to several of the largest players there - and they increasingly ask for so-called "witness tests" to be carried out, which demonstrate the actual performance of critical infrastructure hardware. Meanwhile, the Chinese government is trying to encourage sustainability in the industry with a green data center initiative. The move began in 2015, when Chinese data centers had an average Power Usage Effectiveness (PUE) score of 1.9, while the most efficient facilities were at 1.2 or less - but the initiative is only now picking up speed. "It's like a flywheel," Plötner said. "It's hard to get it going but once it is going, it is really going. These regulations have to be formulated, made law, and then implemented. When you go back four or five years, energy efficiency was like lip-service. "The government is now paying much more attention to energy efficiency and trying to install regulations which force suppliers to do something." Government-backed data centers and enterprise facilities will now demand specific technologies such as EC fans, he said: "They don’t demand a certain energy efficiency - but they are now saying you can’t go below a certain threshold." The government carries out tests in its own benchmarking center, and Stulz used that facility as a guide to building its own labs. The lab has to manage three significant tasks, Plötner said: "First, we have to simulate the ambient conditions - the climate outside the data center. The customer wants to know that the units will perform according to the manufacturer's promise, in whatever ambient environment they are deployed." China has a wide range of climates, from parts of the Gobi desert in the north near Mongolia, to the mountains of Tibet, and hot, humid, tropical Shanghai: "In Hangzhou, we can simulate all these environments. In Siberia, for instance, we can use more free cooling - but you will be surprised how hot it gets in the summer months in Siberia." Secondly, the lab looks at the internals: "We simulate the operating conditions in the data center, which means humidity and temperature." Finally, the laboratory also has to simulate various IT load scenarios to show the facility can operate efficiently, even if it is not doing useful work. "We have to show different load patterns," Plötner said. "How do we provide a power reduction when we reduce the load?" When a data center is running at half load, the quantity of air required can be reduced by 20-25 percent, he added, affecting the power consumption significantly. The government-backed efficiency initiative is helping China catch up with the rest of the world, where such requirements are more established, and is now driven by OPEX considerations, Plötner said. If a large data center has 300 air conditioning units, and each unit uses only 5kW more power, that makes a big impact over a year when multiplied by 365x24. "But it is oversimplifying to think that China is going through the same cycle as Europe," he said. Large Chinese webscale providers are in fact looking at their own solutions, and coming up with fresh ideas for efficiency, much like the Facebook-led Open Computer Project (OCP) has done in the West. 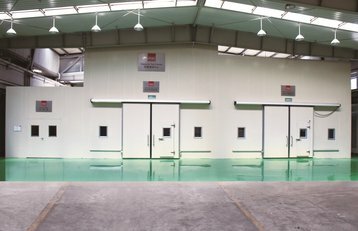 The Hangzhou test center has two rooms, one to simulate the conditions inside the server room, and another to simulate the surrounding outdoor environment. The indoor room can handle temperature ranges from 10°C to 45°C with relative humidity as low as 25%; the outdoor room can deliver a range from -20°C to 55°C. The performance of the air conditioning systems is validated under a range of conditions, using an "enthalpy difference" testing method. There are two sets of testing chambers with different capacity ranges, to ensure the accuracy of the results. The facility tests the products' functions, including heating, humidification, dehumidification and removal of condensed water, using sensors that dynamically record all the key performance parameters. Although it must use energy to recreate the different environmental conditions, the test center itself is designed to use less energy - by relying on external air where possible, and a heat recovery system on both the outdoor and indoor sides.